Affordable Rooter provides NJ drain cleaning to residential and commercial customers in Union, Morris, Somerset County and Essex County. 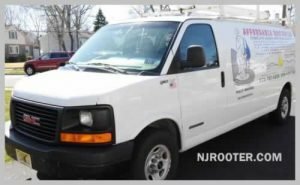 Affordable Rooter LLC provides fast, emergency drain cleaning and sewer repair from Gillette NJ to several NJ counties.. Affordable Rooter LLC is a trusted, locally owned drain and sewer cleaning company. We provide affordable drain cleaning in NJ. We clear bathroom, kitchen, basement and laundry room drains in NJ. If you have clogged sink drains, tub drains or toiler clogs, we can unclog drains quickly and professsionally. We thoroughly clean drain and sewer pipes in NJ using a hydrojetting or high pressure water jetting machine. This completely clears the clog and leaves the pipe free of debris and even removes bacteria. Video camera inpections in Nj homes and businesses are used to determine the condition of pipes and to locate blockages or damaged areas in the sewer line. Using video inspection prior to repair gives a detailed view of the situation that can be used to decide how to proceed. In many NJ basements and laundry rooms, there are floor drains. When these drains get clogged we can quickly and safely clean out the drain and remove the floor drain clog. We can also pump out any water from your basement. Call us if you have small leaks in your NJ home. These leaks my be caused by damaged pipes or valves. These leaks may be in kitchen pipes, bathroom shower pipes, toilet pipes or basement pipes. Leaky valves may also be the cause of the problem. 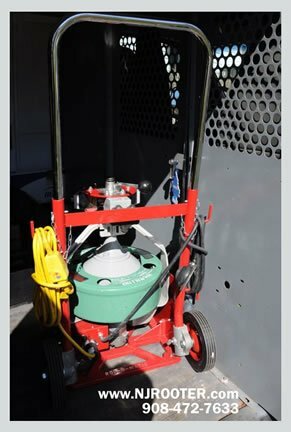 Affordable Rooter LLC uses state of the art video camera inspection, mechanical snaking and hydrojetting equipment so we can quickly and effectively identify problems and clear drains and sewer lines.